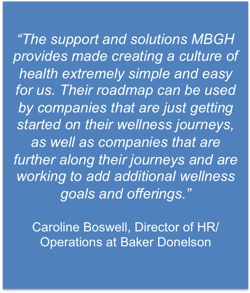 In support of Healthy Shelby and Healthier Tennessee, MBGH has embarked on an initiative to encourage and assist Memphis-area employers in creating cultures of health within their organizations. A culture of health will establish an environment that promotes and supports employee health. As employees become healthier, they may require less medical treatment, which leads to lower insurance premiums and a healthier, more productive workforce. A culture of health also creates a sense of community, improves employee morale, assists in retention and recruitment, and positions your organization as a preferred place to work. 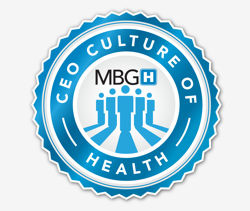 The CEO Culture of Health initiative is open to all organizations in the Memphis-area. 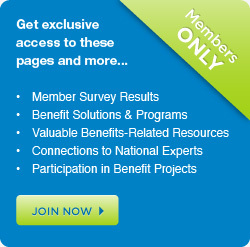 64 organizations have joined and we welcome more! Organizations that meet the CEO Culture of Health standards will automatically be recognized as a Healthier Tennessee Workplace. Read about our Annual Awards Luncheon where CEOs from across Memphis gathered to celebrate and recognize participants. Please contact Cristie Travis at ctravis@memphisbusinessgroup.org or (901)767-9585. 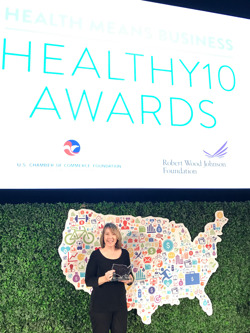 Claire Shapiro, MBGH Board President and Chief Human Resources Officer at Rhodes College, accepts MBGH's Healthy 10 Award from the U.S. Chamber of Commerce Foundation in the workforce health category during the recognition ceremony in Washington, DC in February 2017. The CEO Culture of Health initiative was partially funded by the Robert Wood Johnson Foundation and United Health Foundation, supported by the National Business Coalition on Health.